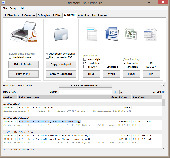 Directory List & Print is a freeware software for Windows and enables listing and printing the content of any directory in a simplest way. . Thumb Print Pro gives you the ability to create web pages from your image library. Print Directory provides a missing option for Windows: the ability to print the file list or directory tree for any window. Why lose precious time inventing ways to print a file list? ZZEE Art Directory Print is an excellent and innovative printing utility. This grocery list software provides the quickest and easiest way to print a grocery list with all the items arranged in the correct order. Create your own checklist, and then when you need a list just tick the items required to print a grocery list. Whistler's List is a freeware program that showcases the to do list functions of KronoLog, the award winning "information manager for the information age." It is visually appealing, re-sizable, font changeable and effectively plans for daily action.